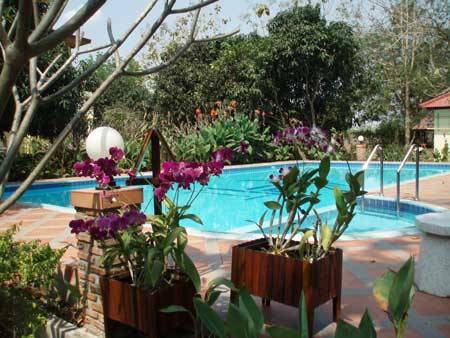 Really nice and quiet ... Thai Bamboo Guesthouse is a beautiful garden setting with a large pool and outsource kitchen. 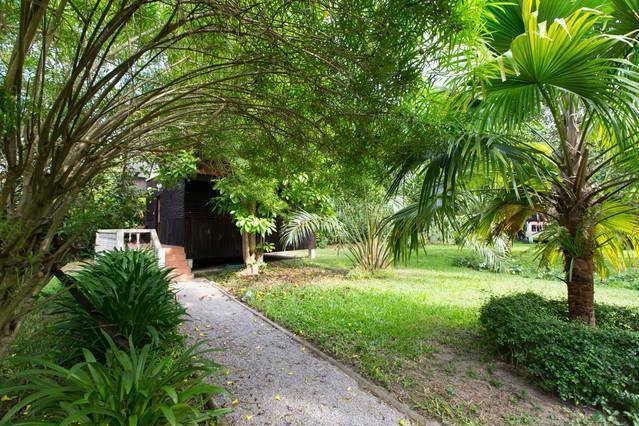 Bungalows are brucks and wood and very spacious. They have a small fridge and electric water kettel. The outdoor kitchen has a large fridge. 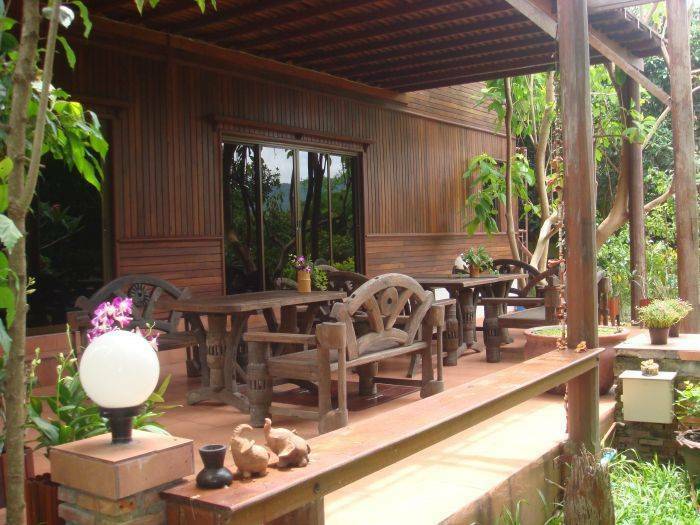 4 bungalows and 2 rooms in the main house on over 6400 m2. 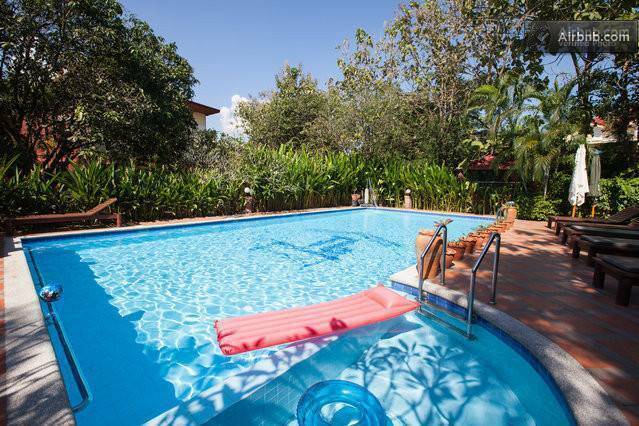 We have a big salt water swimming pool, stunningly beautiful tropical garden with all kind of fruit trees and flowers, outside kitchen and a self service bar. We can provide breakfast and snacks on request. 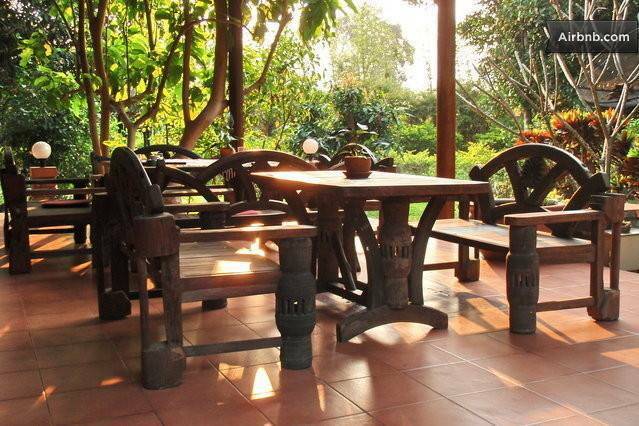 Transportation can be arranged as we have bikes, motor bikes and cars for rent. Lots of thai and western food! Market starts 15:00pm watch out for the "Hard Work Cafe"
please tell the driver to "hup kha pong" "ban raibon"